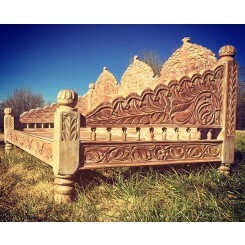 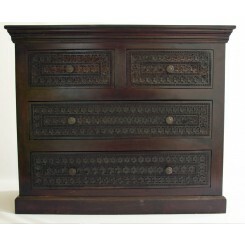 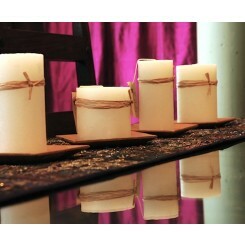 Create a majestic bedroom with coordinating Indian styled carved bedroom furniture. 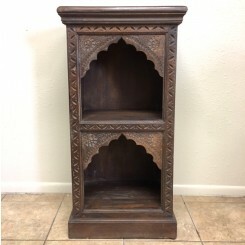 Decorate your home with a hand carved symmetrical Mandala, featured on the door of the Lotus Nightstand, as a spiritual symbol of beauty and purity. 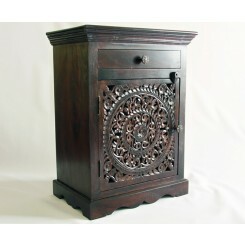 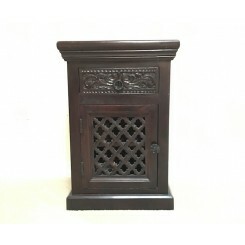 Designed to work with the Lotus Beds, the Lotus or Lattice Headboards, or as an accent to a simple wooden frame, the Lotus nightstands are a work of art. 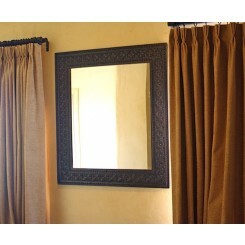 The wooden framed mirrors are crafted in solid Indian white rosewood, in the Kashmere style of carving, originating in the foothills of the Himalayas. 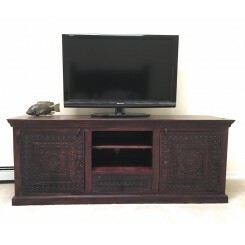 The Kashmere Carved Dressers feature wooden sliders for stability and ease of use. 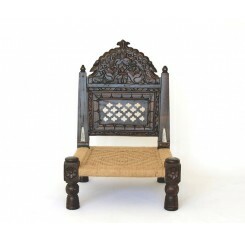 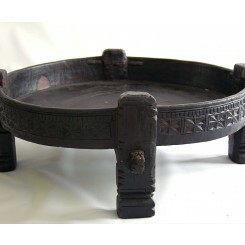 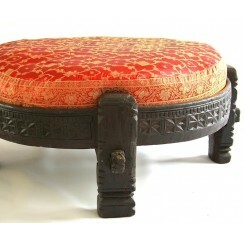 Original teak Chakkis, once used as wheat grinders, are custom fitted with fiber and cotton cushions, and covered with rich embroidered fabrics.